Our Boca Raton attorneys strive to deliver hands-on attention and individual focus to your case. Our team will personally handle every aspect of your case. We have decades of experience handling your legal matters. We promise to treat every client with the diligence and integrity they deserve. Experience really does matter. When you have a dispute with a business partner over the management of your company, or find yourself in litigation over the terms of a contract, lease or other business legal matter, you need advice and representation from an attorney who has dealt with your legal problem before, and dealt with it successfully. You need the Schwartz & Salivar Legal Team. Firm founder Andrew Schwartz has nearly 30 years of legal experience, with his entire legal career focused on litigation, particularly in the areas of contract enforcement and interpretation. Along with his associates, Andrew Schwartz and the Schwartz & Salivar Legal Team serve clients in West Palm Beach, Boca Raton, Fort Lauderdale and throughout Palm Beach and Broward counties in South Florida with high quality legal representation tailored to meet their individual goals. Contact our Boca Raton business & real estate attorneys today. Business Transactions & Litigation – The Schwartz & Salivar Legal Team handles the full range of business legal matters, from entity formation and incorporation to business succession or dissolution, and everything in between. When conflicts arise, our skilled courtroom litigators handle breach of contract and business tort disputes with tenacity and finesse. Our lawyers are well-versed in mediation, arbitration and other alternative forms of dispute resolution; we seek to resolve your matter efficiently and effectively, while always focused on your needs, goals and most favored outcome. Real Estate Transactions & Litigation – There is a saying that every piece of real estate is unique, and when you have gone to the trouble of finding that perfect piece of property, only to have something go wrong before the deal can close, you understand the heartache that comes with losing that unique asset. The attorneys at the Schwartz & Salivar Legal Team are with you every step of the way to facilitate a successful transaction while looking after your rights and interests at every turn. When disputes do arise, rest assured that our experienced litigators are ready to provide knowledgeable and skilled representation for the best possible outcome. Outside General Counsel Services – In recognition of the need of many business clients to have access to legal advice and assistance on a regular yet affordable basis, the firm developed its General Counsel program. We serve as the company’s registered corporate agent and help with the myriad legal questions and concerns which arise in the course of doing business. Business clients are relieved to find an answer to their legal needs in a business-structured framework that makes sense and helps them thrive. Partnership Disputes & Corporate Dissolution – Business relationships can sour for any number of reasons, including disagreements over the direction of the company; arguments regarding the respective contributions of the partners, officers or managing members; or an erosion of confidence among partners or directors. Besides being business associates, partners are quite often family members or friends, and the future of valuable personal relationships are at stake along with the business itself. The Schwartz & Salivar Legal Team works to resolve disputes amicably and effectively, often leaving the partnership stronger than before. Where the relationship cannot be salvaged, we provide strong, effective representation and assistance throughout the dissolution process to help our clients wind up operations smoothly and efficiently. Temporary and Permanent Injunctions – The Schwartz & Salivar Legal Team is particularly adept in the process of obtaining early or emergency injunctions in pre-suit hearings, where necessary to protect the client’s vital business interests. Our firm excels in this complicated facet of litigation, which is an area of law that quite frankly few lawyers or litigators are very familiar with. This short blurb shall serve as my heartfelt, personal message to you. Whether you are a prospective or an existing client, my background, the firm’s “legal team” philosophy, and what you can expect when you retain us is set forth below. 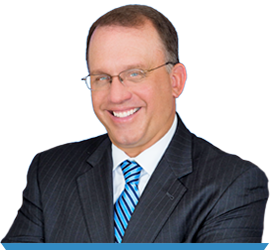 Admitted to the Florida Bar in 1989, I have practiced exclusively in South Florida in business and real estate litigation. I have comprehensive and varied experience in personal injury, probate, real estate transactions and litigation, business transactions and litigation, and intellectual property matters. Originally from Short Hills, New Jersey, I abide by the well-worn phrase that “you can take the boy out of New Jersey, but you can’t take New Jersey out of the boy.” Yes, I have a Northeastern mentality and related attitude; though, hopefully, it has been tempered somewhat by living in Florida for more than thirty years. I attended college at Emory University (B.A 1986) in Atlanta, Georgia, where I completed my undergraduate studies, and later earned my law degree from the University of Miami (J.D. 1989). During law school at University of Miami, I was privileged to work with prominent Miami personal injury lawyers and then separately with prestigious Miami commercial litigation lawyers. In 1990, I moved to Palm Beach County and assumed the role as sole associate litigator in a small real estate and business law firm. In 1994, I was fortunate to attract enough business to start my own firm, and to this day I have been operating my own firm now known as the Schwartz & Salivar Legal Team. While other law firms began using hollow brand names, such as those utilizing the “Law Group” phrase, I wanted to clearly define how I actually practiced — as a “legal team.” I am blessed to have two very intelligent, thoughtful, and simply brilliant associate attorneys, a very determined, organized paralegal, and a stalwart legal assistant to assist me and to provide you with an orchestrated “legal team” to address, manage, and solve your legal problems. In other words, everyone in the office knows what is going on in your file in order to provide you with the personal, individual assistance needed in any given situation. Moreover, we actually answer telephone calls contemporaneously when you call, and we have a strict “24 HOUR RETURN CALL POLICY” if we are in court or otherwise unable to immediately respond to your inquiry. My staff has been trained to set up specific pre-set times for scheduled conference calls with clients for the convenience of everyone involved. You can expect diligent and prompt legal services from our firm. Although we cannot specifically guarantee a result, please know that we will work hard to protect and advance your interests. Often, clients initially think that they want a hyper-aggressive attorney; however, my experience suggests that clients really want a lawyer who will act as the situation requires and not use overkill when finesse is sufficient or warranted. Furthermore, most clients really want a cost effective solution rather than an attorney fee bonanza at the expense of good common sense and practical necessity. To conclude, I am here to simply help you solve your legal problems with a legal team to back me up and assist you accordingly. I look forward to a long and productive relationship and welcome any inquiries that can be addressed by the Schwartz & Salivar Legal Team. When you find yourself in the midst of a business dispute with a great deal at stake, don’t take any chances. Hire a law firm with decades of experience handling business and real estate legal matters for clients throughout south Florida, and helping them protect their interests and achieve their goals. Experience really does matter. Call the Schwartz & Salivar Legal Team today, our Boca Raton business and real estate attorneys can help.